JISD employs 4 medical professionals to serve on their Health and Safety Team, two RN's, and two LVN’s. 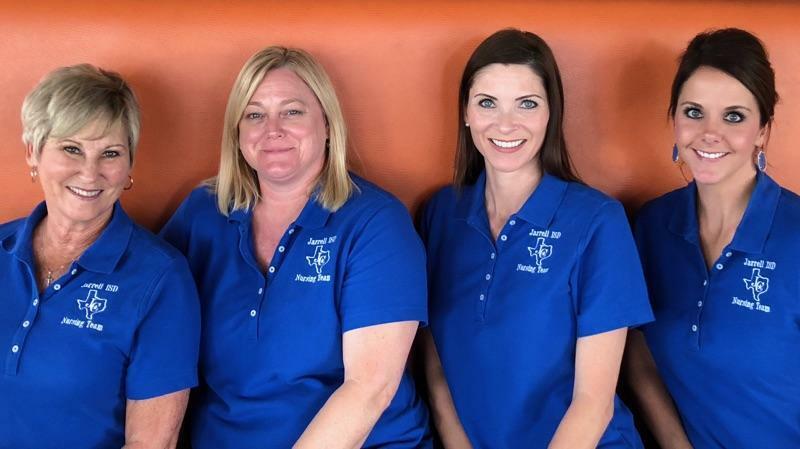 This team carries out all state mandated screenings; maintains current immunization status on all students as well as providing for any healthcare concerns that arise. We believe any phone call or visit we have is an opportunity to teach and expand our community’s health care awareness. Please contact us if you have any questions or concerns regarding your student. School Requirements for Immunization and Recommended Immunization Schedule link under immunizations.